Anyone who has had the experience of posting on the web or has been running a blog of his own for a while now would be familiar with the name “WordPress”. It is an open-source tool which is probably the strongest and yet the easiest content management system. All it would take is for you to download this tool which is 100% free and get started. Be it a blog or a website, you can handle it all using WordPress. This brings us to the important decision that you would have to make before you begin. 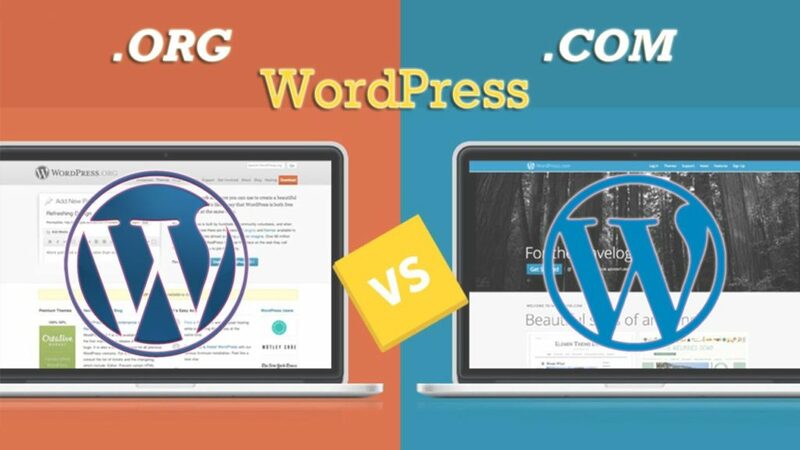 Should you go for WordPress.com or wordPress.org? Well, let’s find out. If you are planning on hosting a self-hosted website then what you need is WordPress.org. WordPress.com however, works best if you do not want self-hosting. With the fully-hosted version, you get to concentrate on the job at hand and need not worry about the technicalities involved with the website and the painstaking self-hosting installations. However, if you want to create something unique and want to get your hands dirty then you need the WordPress.org installation; its software is free too. However, the self-hosting is going to cost you anywhere from $3-$7/month depending on the size of the website you are hosting. Each flavor of WordPress comes with its own pros and cons. Each one would benefit you and offer you a lot of drawbacks in return. It is then for you to decide that where you are willing to draw the line and which features you are not ready to compromise on. The interface for both the versions is similar. So, it basically comes to the features and the added bonus that comes with each version. WordPress.com is easily integrated with other social networks like Facebook, Twitter, Tumbler etc. It allows you to do it without much pain. As for WordPress.org, since you will be hosting it on your own, you would need to install JetPack to avail this functionality. Since JetPack has a lot of other benefits as well, it would be beneficial to have it installed if you are using the .org version of WordPress. If you want to have a website with all the stats there for you to view then what you need is, wordpress.com version. It allows you to look at all the comments, likes, and shares without much hassle. This won’t be the case if you chose to self-host the tool. To make use of this feature you will have to install several other plugins. When you chose to go for the fully-hosted version of WordPress, you are in fact bound to abide by their terms. Before you proceed with the installation, you would have to agree to their terms and conditions and register for an account on WordPress. This would mean that the moment you violate their terms and conditions, they will delete your website. This is not the case when you plan to download and install the self-hosted WordPress.org. There is no registration required for this. Since you will be hosting the website at your end using the WordPress.org , you will have to keep count of the updates and install them on regular basis. You might as well have to find yourself a host to install the updates, maintain the site and keep check of the website’s security. In fact, you would also have to perform regular backups on your website. For security and backup, you can always install plugins like VaultPress to do the job for you. The case with WordPress.com is entirely different, though. Since you are uploading content on a fully-hosted website you do not have to worry about the backups, maintenance and the security of the website. All these features are included in the package. Your only concern is with the content you post and you leave the rest to the service providers. Not all good things are free. When you offer to use the free, hassle-free WordPress.com instead of the self-hosted .org flavor of the website, you, in fact, allowed the site to post ads on your blog. The .com version might have given you freedom but it certainly is going to be annoying to your clients and the viewers on your website. If you want to get rid of this feature you will have to pay around $30 to WordPress. With WordPress.org you are going to have a lot of freedom to enjoy. From choosing your own theme to preventing the ads from showing on your website, there are a lot of perks of using this flavor of the open-source tool. 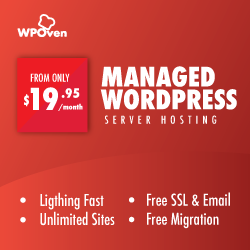 With the WordPress.com version, you are choosing convenience over freedom. Since the website will be taking care of all the matters, you are not allowed to install plugins, custom themes on your website. You have to rely on their analytics and cannot use your own software to do so. Well, WordPress.com gives you comfort and convenience but WordPress.org gives you freedom. If you a personal blogger who is only concerned with the content you upload to your website and do not want to get your hands dirty by getting into the nitty-gritty of all that goes in the background, then you need the fully-hosted version of the tool. However, if you are looking for more freedom and a website which would allow you to exercise more control over what you publish and have complete control over your website then you would need the WordPress.org flavor in your life. This is particularly important for the business sites since their whole business relies on the website. They cannot afford to have anything happen to their website. As for the added features, you can always install different plugins to facilitate yourself.